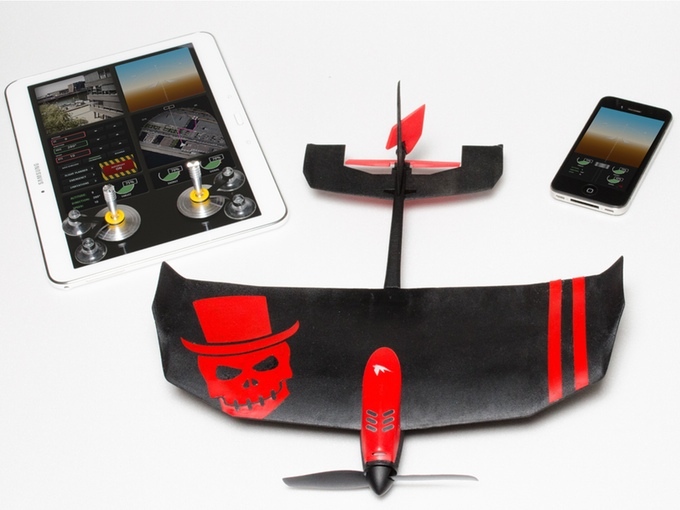 Picture this, when you and a couple of your co-workers decide to take five for some office fun and instead of reaching for the old standbys, you pick up your smartphone controlled, fixed wing, mini gaming drone. If the TobyRich team, a small group of innovative toymakers, get’s their KickStarter campaign funded, then you might start seeing tobyrich.vegas (weird name) drones flying around your office. The should tobyrich.vegas provide lots of fun, you can play in both single and multiplayer modes. Have dogfights, do stunts or race indoor and out. If you just want the enjoyment of a flight, you can always fly solo with the smartphone app. I encourage everyone to tonight if they can to their KickStarter campaign. It’s a fun toy that I’d be happy to own, and no, I wouldn’t recommend that you go to drone university before you fly this thing (but hey, it would probably help). TobyRich took flight when two entrepreneurs had a ‘Eureka’ moment! 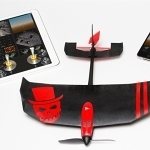 Tech evangelist and gadgeteer Tobias “Toby” Dazenko and the German aviation engineer and product designer Ulrich “Rich” Ditschler, came together with one simple yet bright idea; to build a smartphone-controlled airplane which is as light as a sheet of paper and to make it available to everyone! Over the past two and a half years, TobyRich has been pushing the boundaries of Bluetooth smart technology to create revolutionary products. Due to the continuous ambition to reinvent the industry, TobyRich has attracted partners who shares and supports the mission to eliminate the cord and build wireless, connected smart gadgets that brings our fantasies to life. We are a small team of 12 dreamers working at TobyRich. Our love and passion for smart gadgets ensures that there is a lot of tech cooking in our cool open-plan office in Bremen, northern Germany. The weather is mostly terrible but our enthusiasm is always sky bound!